This entry was posted on Thursday, March 7th, 2013 at 12:50 pm and is filed under AFX News, Media Coverage. You can leave a response, or trackback from your own site. Just wanted to send you guys a big THANK YOU!!! 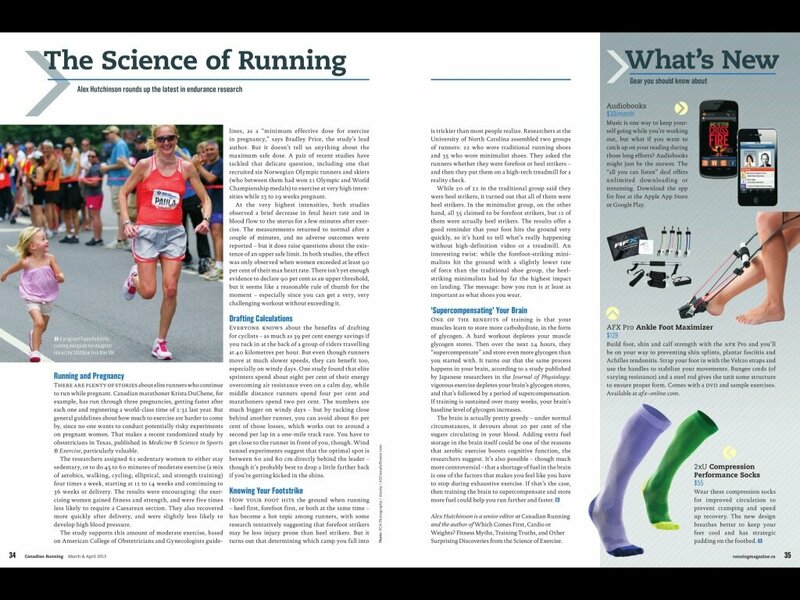 I read about AFX in Canadian Running and after one and a half years of agony with plantar facsiitis (not to mention hundreds of dollars spent splints, boots, night socks and other stuff!) I was desperate. It arrived 4 weeks ago and I already feel much better, I just went for my first big hike this weekend and I am pain free! YAY! Thank you, thank you, thank you. Hey Carolyn – it’s Matt, one of the guys that invented AFX. It is awesome to hear that you are doing so well, and a HUGE thank-you for taking the time to drop us a line. Please keep us posted on your progress, and feel free to post pics from those hikes on our Facebook page! !